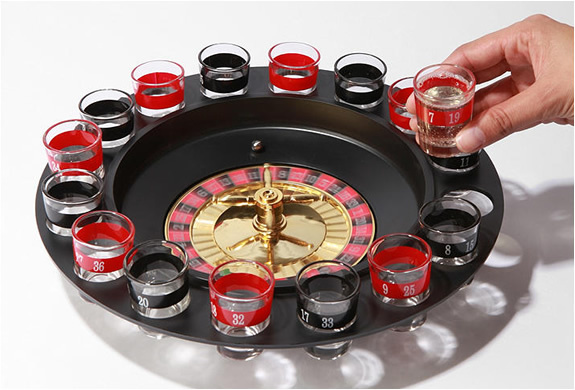 If you get this drinking game you can forget the "Please remember to always drink responsibly" message. 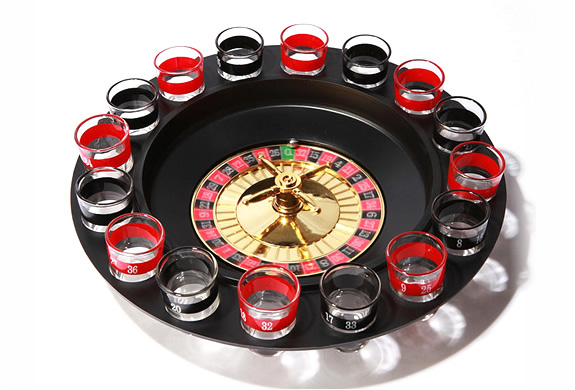 all you have to do is place your bets and wait for the ball to stop on a number, if that number corresponds to your glass you have to drink it and spin again. 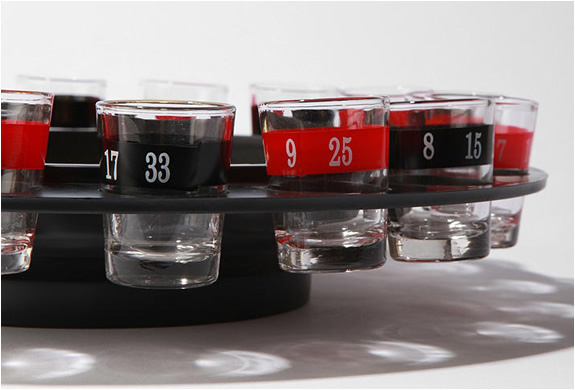 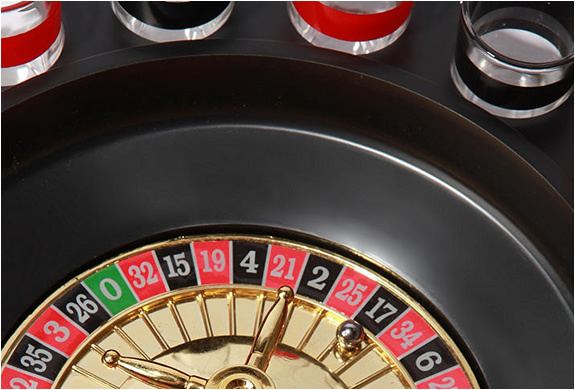 The set includes the roulette wheel, 2 marbles and 16 numbered glasses, each of 2 oz.